Photo of film director Christine Pascal on the set of her film Félicité by Etienne George, 1978. 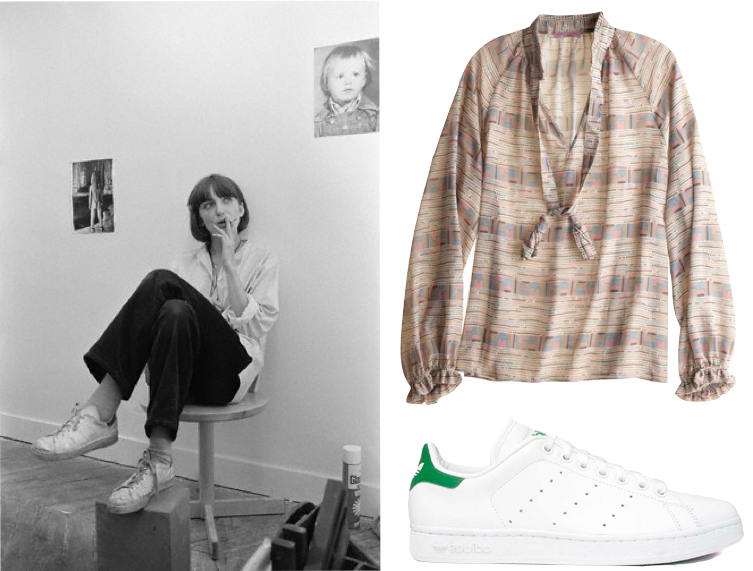 Blake Blouse ($195); Adidas Stan Smiths ($60). I've noticed Tomboy Style has become very French lately and I like it. always inspired by your blog..thank Y♡U..& love the relaxed studio shirt. I like the colors of this blouse and I used to have similar adidas...need to find them! yeah, i'm totally feeling this. cheers! Those Stan Smith Adidas are classic, and were an integral part of my wardrobe forever.